Amazon.com, Inc. (NASDAQ: AMZN) has shifted its gaze to disrupt the healthcare sector. This comes after a month when the online behemoth announced that it is searching for methods to solve the specter of rapidly increasing healthcare expenses for its own personnel. The online giant is now selling private label OTC (Over The Counter) medicines. There are ample signs that Amazon is creating a business which will ultimately sell a big bouquet of medical supplies to hospitals, dentists, and doctors. Needless to say, Amazon's wade into medicine is being closely watched. It had announced in January that it is working closely with JPMorgan Chase & Co. (NYSE: JPM) and Berkshire Hathaway Inc. (NYSE: BRK.B) to control expenses and also reduce health insurance spends for its 840,000 workforce. A few industry watchers have also ventured the opinion that the company may also sell prescription drugs in the near future. This, however, may not be possible as the drug industry is minutely regulated. S&P Global Analysts, in its recent report, said that since healthcare is opaque when it comes to pricing and so is the way players get compensated along the supply chain, the entry of Amazon and other e-commerce giants will disrupt the industry like no other. Amazon has declined to answer questions about these topics. It has, however, acknowledged that the company is trying to make its mark in OTC medicines. The e-Retailer has for long sold thermometers, Tylenol, and band-aids through its website. However, the summer of 2017 saw the company quietly launching its smartly packaged medicines. Dublin-headquartered Perrigo has manufactured these medicines. The Basic Care package sells a wide variety- from nicotine gum and treatments for hair regrowth to ibuprofen and laxatives. 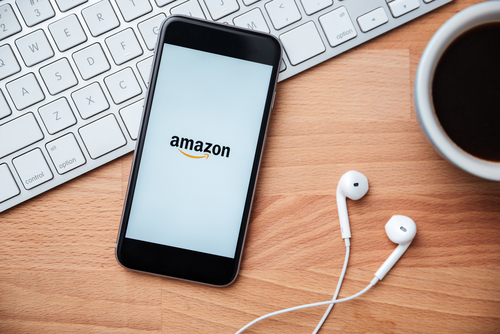 According to Shannan Murphy of S&P Global, Amazon will utilize its expertise to order and then deliver commodity products to its customers quickly. To do this, they will come up with new innovative ways which will disrupt the industry. Many items are priced much lower than the standard pharmacies, like CVS, Rite Aid, and Walgreens. To give an example, Ibuprofen costs about $7.50 for a set of 500 tablets. In comparison, Walmart took $8.23 and Walgreens $15.49. Higher margins are easy to come by for private label items. This could be as much as twice the standard industry margin. This does not mean Amazon has it all. Consumers do not want to wait 48 hours to get their cold medicine when they must have it. The potential customers usually visit the store.